Running Press Adult, 9780762449125, 320pp. This ultra-stylish travel diary chronicles a year-long face-hunting expedition to more than thirty of pioneering street fashion photographer Yvan Rodic's favorite cities. 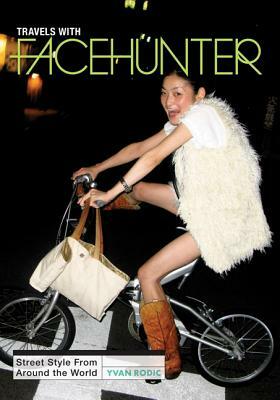 An extension of Rodic's wildly popular Face Hunter blog (1.5 million page views per month), Travels with Face Hunter is a visual feast for a wide audience of fashionistas. For Yvan Rodic (better known to his fans as Face Hunter”), style is about so much more than clothesit's an attitude, a form of self-expression, a way of interacting with the world that is at once expansively global and distinctively local. Travels with Face Hunter captures the global phenomenon that is street fashion, and proves the best outfits and most beautiful faces of fashion aren't necessarily on runways or in magazines. Along with more than three hundred stylish photos, Rodic offers commentary on the atmosphere and style trends of each city he visits, taking readers with him on the journey. Throughout the pages of this book, readers will discover a young child in Tokyo wearing fantastic striped sunglasses; trainers paired with cowrie shells in Cape Town; a woman posing in a fake leopard-skin coat outside of a Milan Cathedral; and blue suede shoes in Beirut. You never know what will catch Face Hunter's eyebut you can bet it won't be a professional model or celebrity wearing this season's must-have outfit from a leading fashion house. "intriguing travel diary...virtual feast for lovers of fashion, travel, art, and self-expression."